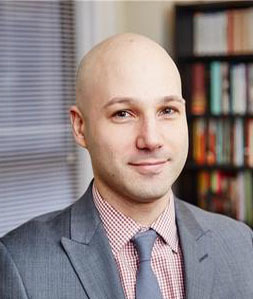 Ziv Ezra Cohen, M.D., has special training in forensic psychiatry. He has been appointed a psychiatric expert in State and Federal Court. He is President of the Tristate Chapter of the American Academy of Psychiatry and the Law, the professional organization for forensic psychiatrists. He is available for consultation on medical-legal issues, for forensic psychiatric evaluations and record reviews, and for expert testimony. Dr. Cohen teaches principles of forensic psychiatry to forensic psychiatry fellows at the Columbia-Cornell Forensic Psychiatry Fellowship, and to psychiatry residents at Weill Cornell Medical College. Dr. Cohen’s expert opinion is cited by Federal Judge in United States District Court for the Eastern District of New York, regarding the psychiatric treatment provided to a veteran in Nassau County Correctional Facility. Forensic psychiatry is a professional subspecialty of psychiatry. The discipline of forensic psychiatry is focused on applying scientific and medical expertise to legal questions. This may occur in the criminal, civil, administrative, or other legal settings. What kinds of legal questions does a forensic psychiatrist address? There are a wide variety of legal questions which may require a forensic psychiatrist to render an expert opinion. For example, if you believe that you were the victim of medical negligence involving psychiatric care, you will likely need a forensic psychiatrist to review your case and provide an expert opinion to the court on whether the treatment you received met the standard of care. The defendant (i.e. the doctor rendering psychiatric care) will likely hire a forensic psychiatrist to analyze the care provided and opine whether it met the standard of care. This is an example from civil law. In criminal law, a criminal defendant may require evaluation by a psychiatrist. For example, if the prosecution or the defense attorneys believe the defendant is not fit to stand trial (i.e. not mentally competent), a competency/fitness evaluation will be ordered by the court (in New York State this is called a “730 examination”). The psychiatrist will seek to answer the question whether the defendant is mentally competent to stand trial. Another example from criminal law involves a defendant who believes he was not able to form the requisite mental state to be guilty for the crime charged. Certain crimes (such as murder) require the accused to have had a particular mental state (in the case of murder, “intent to cause the death of another person”). A forensic psychiatrist may be retained to evaluate the defendant’s mental state at the time of the offense. The prosecution may hire their own forensic psychiatrist to conduct an evaluation. There are numerous other types of situations which may arise in the criminal legal setting. In family law, a question may be raised as to whether one member of a divorcing couple is fit to be a parent. A forensic psychiatrist will be hired by the divorcing couple, or by the court, to provide an assessment on the parent’s fitness. In an administrative proceeding, such as a worker disability claim, the administrative body that must decide whether a claim has been met may require an expert opinion. For example, a worker who claims to have PTSD and depression from an accident in the workplace may require an independent evaluation by a forensic psychiatrist. These are just a few examples of the kind of medical-legal questions which may give occasion for a forensic psychiatrist to be retained. Medical negligence refers to a deviation from the standard of care. In a medical negligence case, the plaintiff argues that the care rendered did not meet the standards expected of a minimally competent physician. This means that if a doctor provides sub-standard care and there is no poor outcome, it may be difficult to make a claim against the doctor for monetary damages. If the doctor provided minimally appropriate care and the patient had a bad outcome due to a known complication or side effect of the treatment, it may also be difficult to make a claim against the doctor. Medical negligence would be established if it were proven in court that the doctor provided sub-standard care, that the poor care caused a complication, and the complication resulted in clear damages to the patient. Who hires a forensic psychiatrist? A forensic psychiatrist may be hired by an attorney (e.g. defense, plaintiff, or prosecution attorney). At other times, particularly in civil matters, a forensic psychiatrist will sometimes be hired directly by the client. How does a forensic psychiatrist work? A forensic psychiatrist will typically speak to the attorney and request any available written materials pertaining to the case. For example, previous medical and psychiatric records are important. The psychiatrist may also request other information about the person to be evaluated, such as school, military, and employment records. The forensic psychiatrist will conduct a thorough interview of the evaluee. In addition, the forensic psychiatrist may speak with collateral sources, such as family members or colleagues. The forensic psychiatrist will gather this and other information to formulate an opinion concerning the medical-legal question in the case. At this point, the forensic psychiatrist will usually share this opinion with the attorney. If the attorney wishes, he may request that the forensic psychiatrist put this opinion in writing, as a report, in order to share it with the other side to the legal dispute or with the court. If the case proceeds to depositions or trial, the attorney may request the forensic psychiatrist provide direct oral testimony about his credentials or his opinion. How do you become a forensic psychiatrist? A forensic psychiatrist must successfully complete medical school and internship and become a licensed physician. The physician must then complete specialty training (residency program) in psychiatry. The physician may then sit for the Board Examination in Psychiatry, which qualifies him as a Board Certified Psychiatrist. Next, the physician must complete a fellowship program in forensic psychiatry. Upon completion of the fellowship program, the forensic psychiatrist is eligible to sit for the Board Examination in Forensic Psychiatry. Upon successful completion of this examination, the forensic psychiatrist is Board Certified in Psychiatry, with Added Qualifications in Forensic Psychiatry. What are Dr. Ziv Cohen’s qualifications in forensic psychiatry? Dr. Cohen completed medical school at the Albert Einstein College of Medicine, in New York City. He then completed internship and residency in psychiatry at the Weill Cornell Medical Center and New York Presbyterian Hospital. Following completion of residency and successfully passing the Board Examination in psychiatry, Dr. Cohen worked for 2 years as a hospital psychiatrist at New York Presbyterian Hospital/Weill Cornell Medical Center. He then served as a staff psychiatrist in the Israel Defense Forces. He then completed two fellowships in forensic psychiatry at Columbia University. He then rejoined the faculty at Weill Cornell Medical Center, where he is Clinical Assistant Professor of Psychiatry. Dr. Cohen teaches medical students, residents, and forensic psychiatry fellows at Weill Cornell Medical Center and Columbia University. Dr. Cohen is a Board Certified Psychiatrist with Added Qualifications in Forensic Psychiatry. He is a Fellow of the American Psychiatric Association. With what kinds of forensic psychiatry cases has Dr. Cohen been involved? In what courts has Dr. Cohen been qualified as an expert in psychiatry? Dr. Cohen has been qualified as an expert in psychiatry in New York State (criminal court, supreme court, family court, in multiple jurisdictions) and federal courts (Southern District of New York, Eastern District of New York, and Western District of North Carolina). Has Dr. Cohen ever not been found qualified as an expert in court? Does the forensic psychiatrist produce a written report? If requested by the attorney, the forensic psychiatrist will prepare a written report. The attorney will decide whether to share this report with opposing legal counsel and the court. At other times, the forensic psychiatrist is court appointment and required to submit a report directly to the judge. Does the forensic psychiatrist testify? Although we often think of expert witnesses as testifying in court, most cases in which a forensic psychiatrist is retained will not require testimony. For example, in a criminal case, often opposing lawyers will review the expert opinion and come to a plea agreement, thereby avoiding trial. In civil cases, opposing lawyers will review a report, which may help guide them in settling the case out of court. Thus, only in a minority of cases does a trial occur which would require oral testimony. Has Dr. Cohen provided testimony at trial? Yes, Dr. Cohen has provided testimony in civil and criminal court, at the state and federal level. Do both sides in a legal dispute (e.g. plaintiff and defendant) hire a forensic psychiatrist? Yes, typically if one side hires a forensic psychiatrist, the other side will hire a forensic psychiatrist to seek to rebut the claims. Do both sides in a criminal matter (defense and prosecution) hire a forensic psychiatrist? Yes, typically if the defendant is mounting a defense involving a psychiatric condition, both the defense and prosecution legal teams will higher forensic psychiatrists to provide expert opinions. What areas of the law require a forensic psychiatrist? Any area of the law may potentially require a psychiatric expert opinion. Common areas of the law where forensic psychiatrists are retained include criminal, civil, family, and administrative law. Is a forensic psychiatrist objective? The ethical code of forensic psychiatry requires the forensic psychiatrist to be objective in formulating a medical-legal opinion. The forensic psychiatrist’s goal is to describe the psychiatric truth of the matter, subject to the available information. The forensic psychiatrist is paid for his time, i.e. the work involved in reviewing records, interviewing the evaluate, and the other steps involved in formulating an opinion. The forensic psychiatrist does not provide an opinion for hire. What is the ethical responsibility of the forensic psychiatrist? The forensic psychiatrist’s ethical responsibility is to render an opinion according to the standards of the profession, to remain objective, and to seek the truth. What does the consultation cost? The initial telephone call with Dr. Cohen is free of charge. Thereafter, an hourly fee is charged. Dr. Ziv E. Cohen is a Weill Cornell-affiliated and board certified psychiatrist with extensive experience treating mood disorders, trauma, PTSD, and a variety of other disorders. His experience lies with individuals across the lifecycle, including adolescents and adults. Dr. Cohen is also Clinical Assistant Professor of Psychiatry at Weill Cornell Medical College of Cornell University, and on the medical staff of New York Presbyterian Hospital, both in New York City.